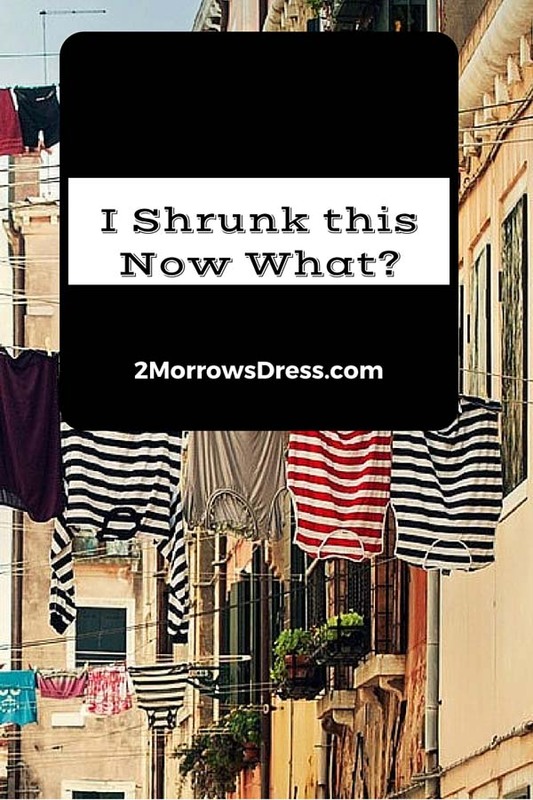 September 8, 2012 January 2, 2019 JMorrow2 Comments on Can I bleach my dress? Recently, I received this email from a customer wanting to repurpose an existing dress for her wedding. I bought a prom dress from you in 2010, and I loved the way it looked and felt on me. It is 100% polyester, floor length, and beaded with a cinch at the waste. I am now getting ready to get married and really want to re-purpose my dress. I am looking to take it to a tailor to get it fitted, but I am in debt due to student loans, so I am looking for as many DIY projects as I can do. I am interested in bleaching it if that is possible without damaging the dress. I would really appreciate any kind of advice you can share with me. Like I said, I LOVE this dress and it would mean so much to me to be able to wear it on my wedding day. Bleaching fabric is difficult and under the best conditions may not turn out the way you hope. Bleach can ruin polyester, leaving it stiff and yellowed (the fabric may lighten, but the result is no where near white). Cotton and cotton blends are the only fabrics that I would ever attempt to bleach. A 5 gallon plastic bucket (like the Homer buckets from Home Depot) work great. Add up to 1/2 cup of bleach to the 3+ gallons of water then slowly add your garment for bleaching. Be careful not to splash the bleach water out of the bucket. Larger projects can be bleached directly in the washing machine by using the soak setting. You may need a full cup of bleach for the larger capacity of a washing machine. The best option to change the color of polyester fabric (or any synthetic) is fabric spray. Rather than bleach, use a white fabric spray, it is a spray paint specifically designed for fabric. The pump sprays (like the Tulip brand) offer a wide color range and are good for smaller projects. First try the spray on fabric from a matching wrap or extra fabric left-over from a hem. Practice the spray pattern and coverage before using on the dress. Aerosol sprays can be layered to achieve the exact shade and appearance that you desire. Start at least 3 feet away from the dress or garment, then slowly move in closer to apply more coverage spray. aerosols provide consistent coverage and are easy to use for larger projects. Fabric spray works much better on whites and light colors. So adding a pop of color to your wedding dress makes for a bold statement at your wedding. This is also a great way to repurpose your wedding dress for another use. Fabric dye or color spray your wedding dress for a completely different look and wear it again! Try a graduated color change with the fabric spray, like Gwen Stefani’s color sprayed wedding dress. I love hearing from my customers, and even better when they want to re-purpose a dress. Good luck with your dress and congratulation on your engagement! Should I buy from China direct?